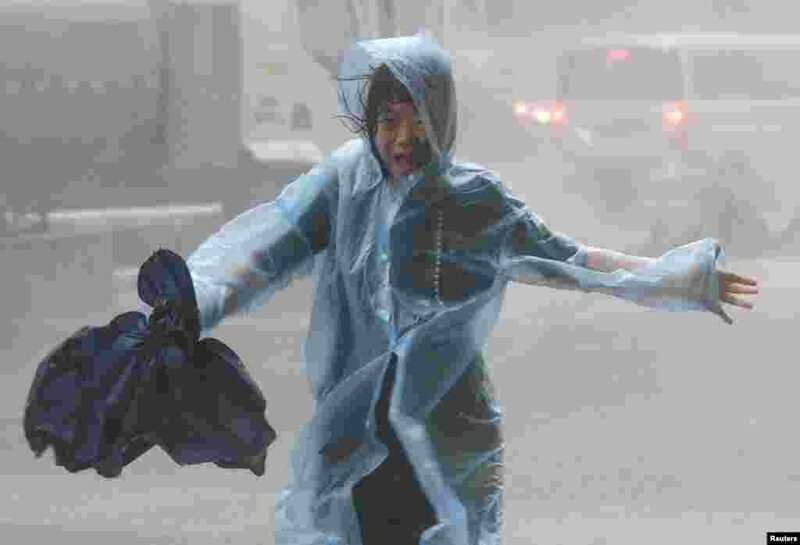 1 A woman runs in the rainstorm as Typhoon Mangkhut approaches, in Shenzhen, China. 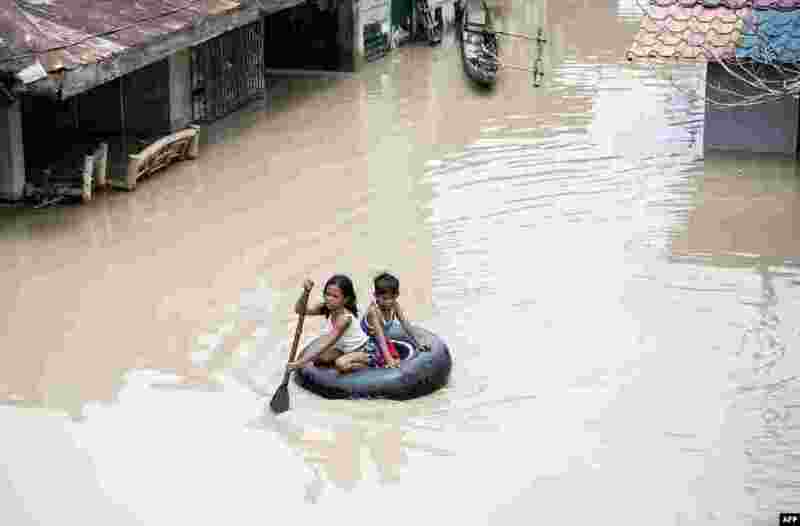 2 Children use a tire's interior to cross a flooded street in the aftermath of Super Typhoon Mangkhut at Salonga Compound in Calumpit, Bulacan, Philippines. 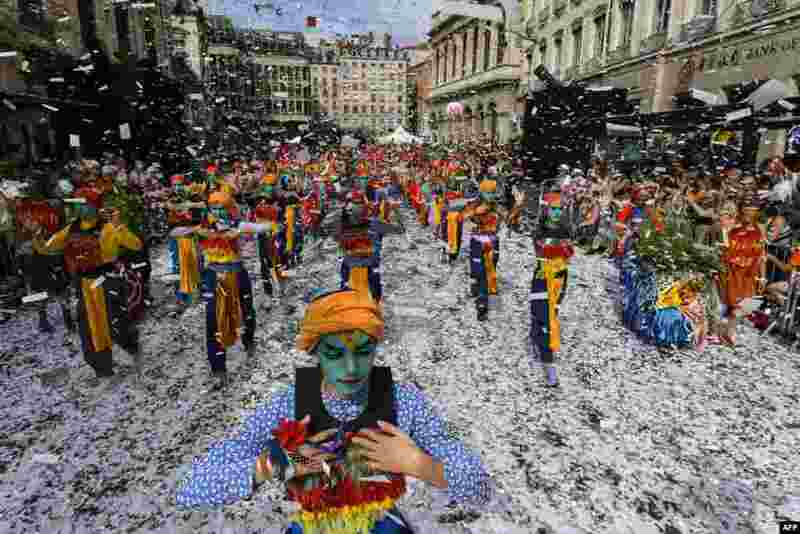 3 Dancers perform in a parade of the 18th edition of the Lyon Dance Biennial on a street in Lyon, eastern France. 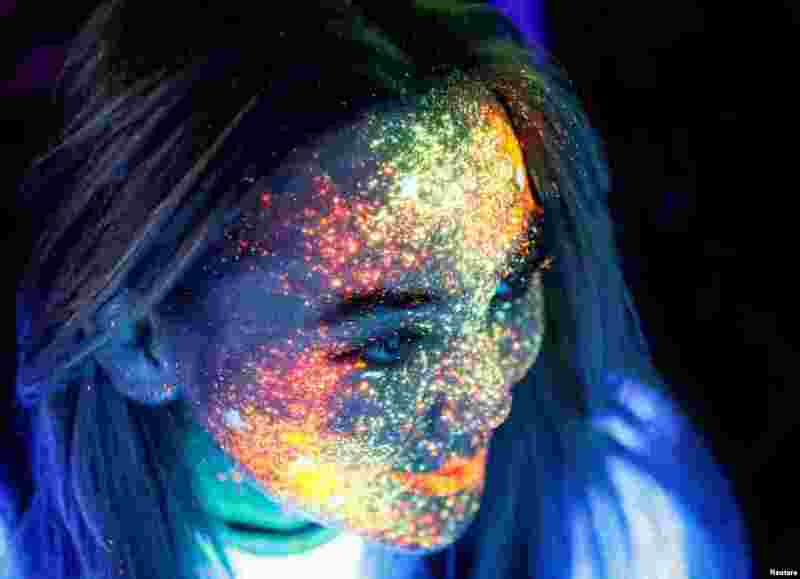 4 A participant with her face decorated with fluorescent paint smiles before the YARKOcross Night Edition color run race in Almaty, Kazakhstan, Sept. 15, 2018.